Live Life Half Price is once again teaming up with Royal Queens Mentoring and friends. We will be passing out tolietries, clothes , food and more. As always we need your help. 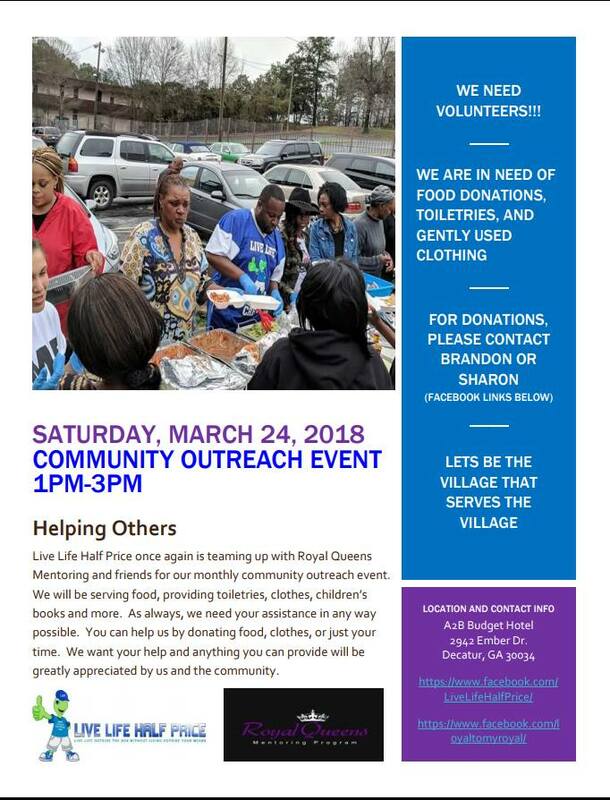 We need volunteers, we need tolietries, we need food donations anything you can give.